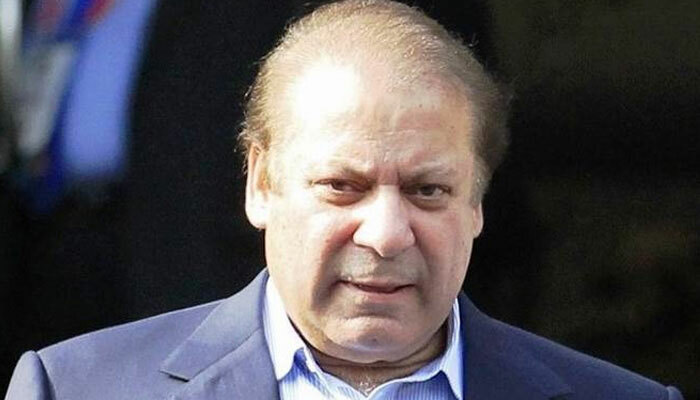 ISLAMABAD: An accountability court on Monday sentenced former prime minister Nawaz Sharif to seven years in prison in Al-Azizia Steel Mills corruption reference, while acquitting him in the Flagship Investment reference. In its verdict, the accountability court said there was concrete evidence against the former premier in the Al-Azizia reference, and that he was unable to provide a money trail in the case. The court ordered that Nawaz Sharif be sentenced to rigorous imprisonment for a term of seven years along with a fine of Rs1.5 billion and $25 million. The verdict -- initially expected between 9:00am to 10:00am -- was announced almost immediately after Nawaz arrived in the courtroom close to 2:45pm. The order said the burden of proof lies on Nawaz in the Al-Azizia Steel Mills case. "The prosecution has successfully established all the ingredients of the offence of corruption and corrupt practices against the Accused No. 1 Mian Muhammad Nawaz Sharif as defined under Section 9(a)(v) of the NAO, 1999 read with Section 14(c) thereof, as per the charge framed for holding andbeing the true and real beneficial owner of the assets ASCL, HME and related remittances, beyond his known sources of income as he failed to establish contrary thereto," the court said in its written verdict. "As such, Accused No. 1 Mian Muhammad Nawaz Sharif is held guilty for the offence of corruption and corrupt practices and accordingly, I do hereby, convict him under Section 10 of the NAO, 1999 read with the Schedule thereto and, consequent upon his conviction having regard to the facts and circumstances of the case, the convict is, hereby, sentenced to rigorous imprisonment for a term of 07 years along with a fine of, Rs1.5 billion and US $25 million," reads the 131-page detailed judgement of the case. The verdict further read: "In terms of Section 10(a) of the Ordinance, all assets, properties, rights, receivables and interests of and in HME stand forfeited to the federal government, which shall forthwith approach the Government of KSA, so as to implement and give effect to the said forfeiture. The judgment refers to the prosecution establishing Hill Metal Establishment (HME) and Azizia Steel Company Ltd as the assets of Nawaz Sharif. Further NS has accepted the assets as gifts from son to father. The judge also refers to the definition of assets including those directly or indirectly held benami in the name of spouse, relatives and associates. In the instant case, the prosecution has held assets being indirectly held by benamidar i.e. Hussain Nawaz. The court noted that there is a strong indication that holding benami properties is the routine practice of Nawaz Sharif and family. The letters from the Qatari Royal family dated 5.11.2016 and 22-12-2016 do not support the version of accused Nawaz Sharif that he invested the net proceeds of Gulf Steel Mills, 12 million AED with the Al Thani family of Qatar. The court said it is satisfied that the sale of Gulf Steel Mills to Abdullah Kayed al Ahli is unsubstantiated, false and concocted in view of the Justice Ministry of the UAE in response to MLA from the JIT. The sale and utilisation of the sale proceeds of Gulf Steel Mills is belied and negated. The establishment of ASCL and HME and its source of funding from Gulf Steel Mills is neither duly unsubstantiated nor proved and consequently is not tenable and rejected accordingly. The court said that Hussain Nawaz himself claimed to be the sole proprietor of the HME who admitted to having sent remittances from Saudi Arabia to his father, Nawaz Sharif, but he did not opt to appear before court. The court noted that the Hussain was person who could have deposed on oath to prove his stance before the Supreme Court and place on record the money trail to dislodge the presumption against his father, but he (Hussain) chose not to appear. Nawaz was taken into custody from the court premises following the verdict. 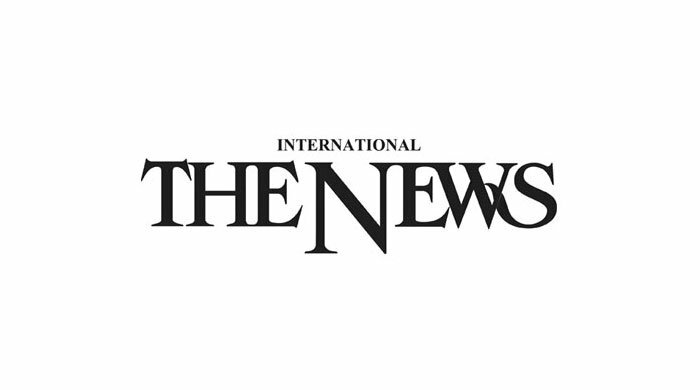 The Accountability Court II Judge Arshad Malik announced the verdict in the corruption references against the Sharif family, after reserving the decision last week. The National Accountability Bureau (NAB) had concluded its final arguments in the Flagship reference against Nawaz on Tuesday -- the third and last reference against the PML-N leader. The anti-corruption watchdog had wrapped up its arguments in the Al-Azizia reference earlier this month. On Friday, the court had accepted the request of Nawaz’s counsel to submit additional documents in the Flagship Investment reference and rejected NAB’s reservations. On December 7, the Supreme Court had directed the accountability court to conclude the cases by December 24, after previously granting it seven extensions to wrap up the references initiated by NAB. Meanwhile, a NAB team left the accountability court premises with Nawaz who was arrested from the court premises after the verdict. The former premier was taken to Adiala Jail, Rawalpindi amid stringent security, where he was to spend the night. Nawaz will be shifted to Kot Lakhpat prison today (Tuesday). The former premier had requested the court that he be shifted to Kot Lakhpat Jail, Lahore instead of Adiala Jail, which was granted by the court. Nawaz can file appeal before the high court against the accountability court verdict within 10 days in accordance with Section 32(a) of the ordinance. The trial against the Sharif family commenced on September 14, 2017. On July 6, after four extensions in the original six-month deadline to conclude all three cases, the accountability court announced its verdict in the Avenfield reference. Nawaz, his daughter Maryam and son-in-law Captain (R) Safdar were sentenced to 11 years, eight years and one year, respectively, in prison. Nawaz and Maryam were released from jail on September 19 after the Islamabad High Court (PHC) suspended their sentences in the Avenfield case. Nawaz and his sons, Hussain and Hassan, are accused in all three references whereas Maryam and Safdar were accused in the Avenfield reference only. The two brothers, based abroad, have been absconding since the proceedings began last year and were declared proclaimed offenders by the court. Al-Azizia Steel Mills reference was about Hussain Nawaz’ claims that he received a sum of $5.4 million from his grandfather to establish the steel conglomerate in Saudi Arabia. The payment was made by a Qatari royal on the request of the elder Sharif. Thereafter, scrap machinery was transported from their Ahli Steel Mills in Dubai to Jeddah to establish Al-Azizia in 2001. The JIT constituted to investigate the graft allegations insisted that the real owner of the mills was Nawaz Sharif, and it was being operated by his son on his behalf. Hussain was 29 years old at the time. The JIT also held that Nawaz Sharif received 97 percent profit as ‘gifts’ from Hill Metals Establishment, another company established by Hussain Nawaz in 2005, in Saudi Arabia. Of the amount, Nawaz Sharif transferred 77 percent to Maryam. The NAB claimed that since Nawaz Sharif received a large profit from Hussain’s companies, he is the real owner and not his son. In the Flagship reference, the charge against the family was that Hassan Nawaz set up an investment firm in 2001, with an office registered in the United Kingdom. At the time he was 25-years-old. Nawaz has never accepted any connection with his son’s business, although the NAB alleged that his name was listed as chairman of the board, further adding that Hassan was under the guardianship of his father till 1995. Earlier this month, during a hearing, the NAB stated that Nawaz Sharif even received an amount of 0.78 million AED from the investment firm that he claims to have no stake in.